Exit highway "Sion Ouest". 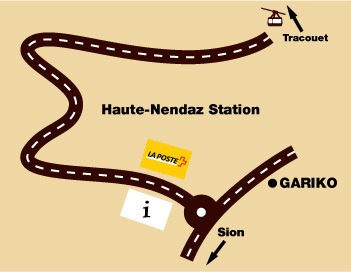 Follow Nendaz during 13 km. first exit. The GARIKO is 50 metres on the right hand in the arcades.